Vietnam Veteran Helmet Challenge Coin | BUDK.com - Knives & Swords At The Lowest Prices! 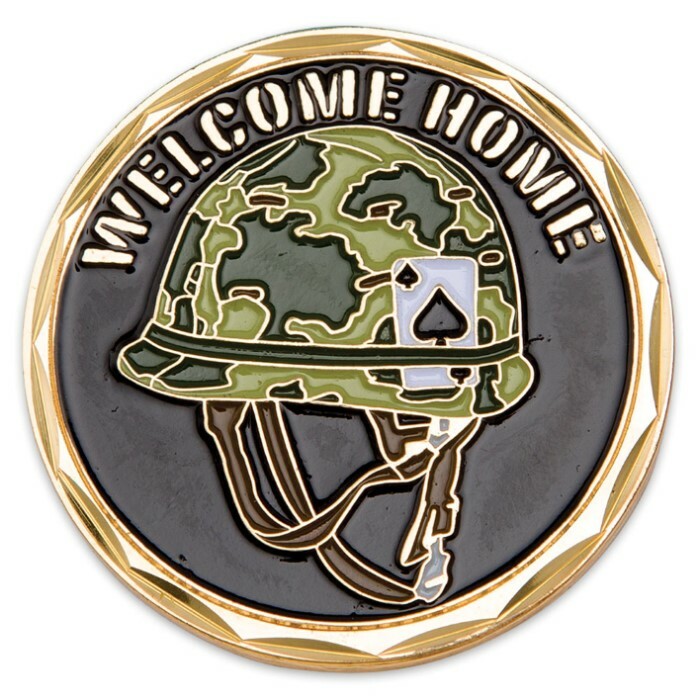 An elegant tribute to any living Vietnam Vet or a heartfelt memorial for those who have passed on, the Vietnam Veteran Helmet Challenge Coin features on the face in brilliant soft enamel color, a typical Vietnam soldier’s helmet on a dark background, with the words “Welcome Home” soaring above. 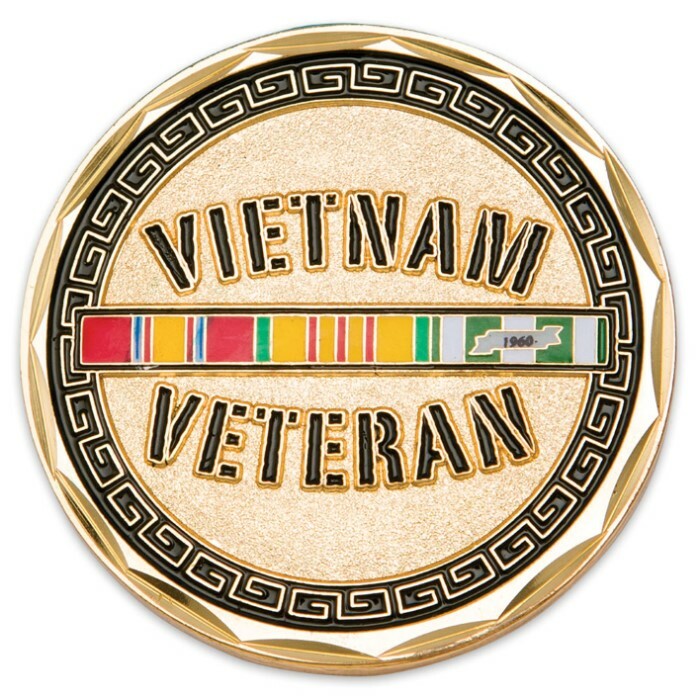 The circumference of the face is gold-colored minted metal alloy with subtle details and the words ”Proudly Served My Country in Vietnam” and “All Gave Some. Some Gave All.” On the back of the coin are three colorful service ribbons in enamel and “Vietnam Veteran” in raised relief. Artful decorations and tasteful accents frame the back. 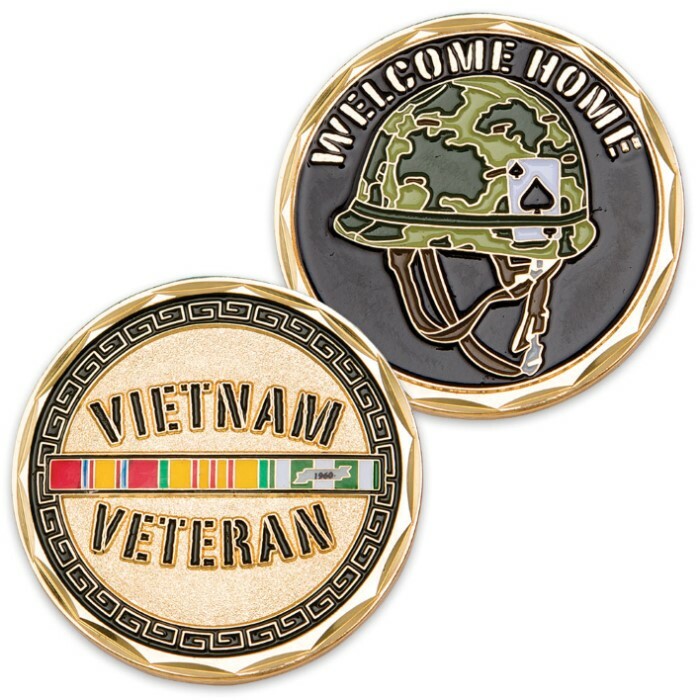 The Vietnam Helmet Challenge Coin is designed in the USA and makes a great gift for Vietnam vets or the loved ones of fallen Vietnam War heroes.